Industrial expansion destroyed much of the green countryside that once surrounded Oldbury, leaving spoil heaps, marlholes, quarries, pits and pollution throughout the area, and a legacy of reclaiming the land throughout the twentieth century. What was not destroyed was built over, and now little green space remains, except for the land originally bequeathed by industrialist benefactors - such as Barnford Hill Park. 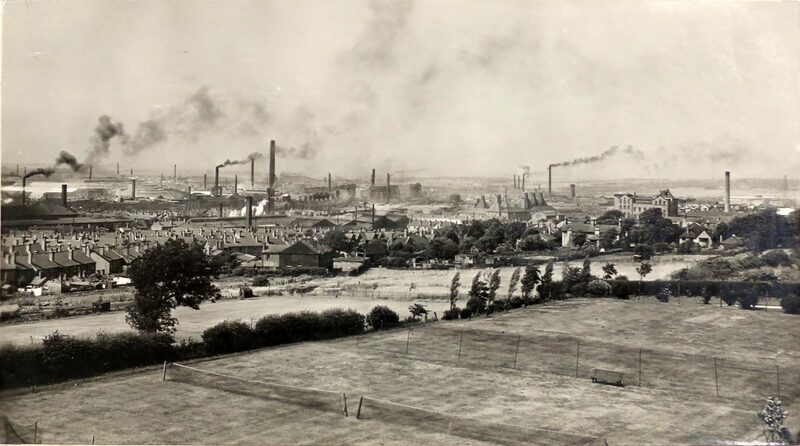 The land was presented to the Borough of Oldbury in 1915 by Mr W. A. Albright of Albright and Wilson, the chemical manufacturer, one of the largest Oldbury firms. A plaque on the Park Keeper’s House commemorated this event, recording that Mr Albright presented the Park to the Borough of Oldbury ‘for the use of the public for ever’. The park was opened in 1916 after the area, which had been mainly arable land, was prepared and seeded. 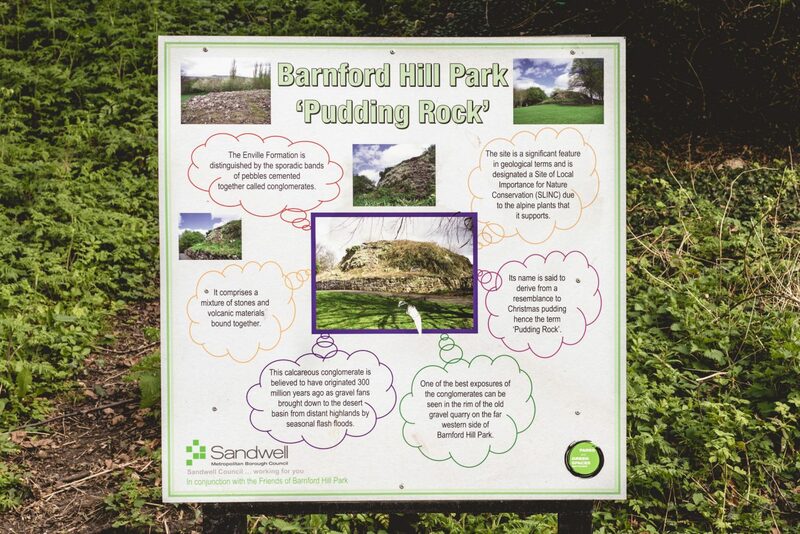 Barnford Hill Park is what remains of two local farms, the last of which disappeared in the 1960s. It is in an elevated position and the highest point is a small outcrop of pudding stone which commands a wonderful view north and west over the Black Country. View from Pudding Rock, 2017. The woods on the right have replaced the putting green. It was the largest park in the area and up until the end of the 1960s many facilities were installed here: a bowling green, putting greens, tennis courts, a Sons of Rest, a Keeper's pavilion, and a children's play area. There were flower-beds, and a garden designed especially for the visually impaired. Cricket and football pitches were maintained. The Borough greenhouses were situated in the park. There was a resident Park Keeper, for whom a house was provided at the entrance to the Park. 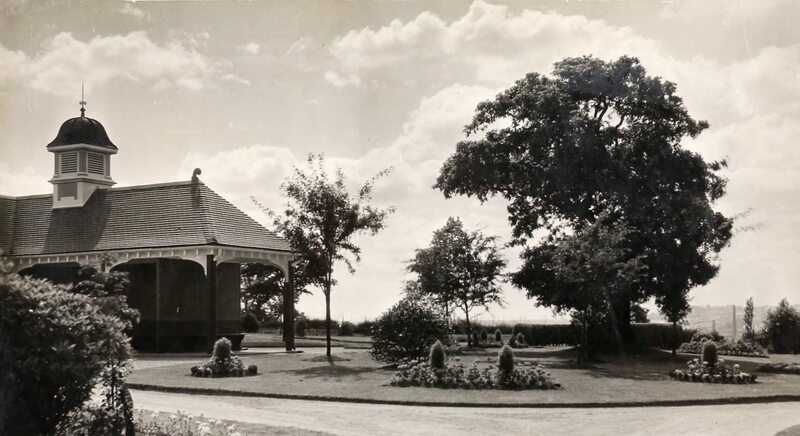 The park was used for important public events and celebrations like the bonfires and fireworks displays on occasions such as the peace celebrations in 1919 and the 1935 Jubilee. 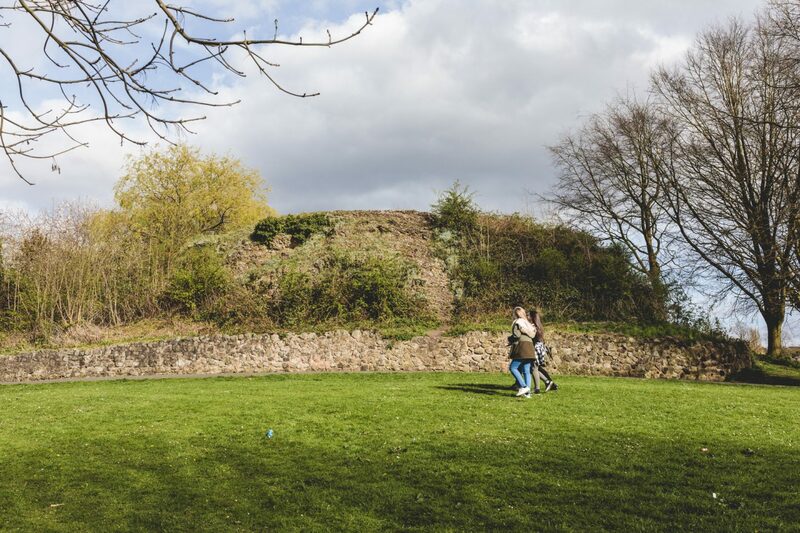 However, by 1999, a council report said, in relation to maintaining the park: ‘If Sandwell is to stem the migration of young people from the Borough, then Sandwell must increase its attractiveness as a place to live. The provision of properly maintained parks and the leisure facilities they provide could make a contribution. If nothing is done the unsubsidised parks will deteriorate into vandalised squalor, which will promote the emigration.’ The bowling green, putting greens and the garden for the visually impaired were in a state of dereliction; the tennis courts were used as a car park; following repeated vandalism the Sons of Rest had been demolished, as had the Keeper's pavilion and the greenhouses; the cricket pitch was no longer maintained; pathwork in the park was in a state of disrepair; much of the apparatus in the children's play area had been removed; there were no flower beds except at the entrance; there was no longer a resident Keeper, and the Keeper's house had been sold off. Barnford Hill Park, Oldbury. Showing Pavilion and gardens. Photograph taken by Sidney Darby for Charter Souvenir, 1935. Barnford Hill Park, Oldbury. Showing Sons of Rest. Photograph taken by Sidney Darby for Charter Souvenir, 1935. 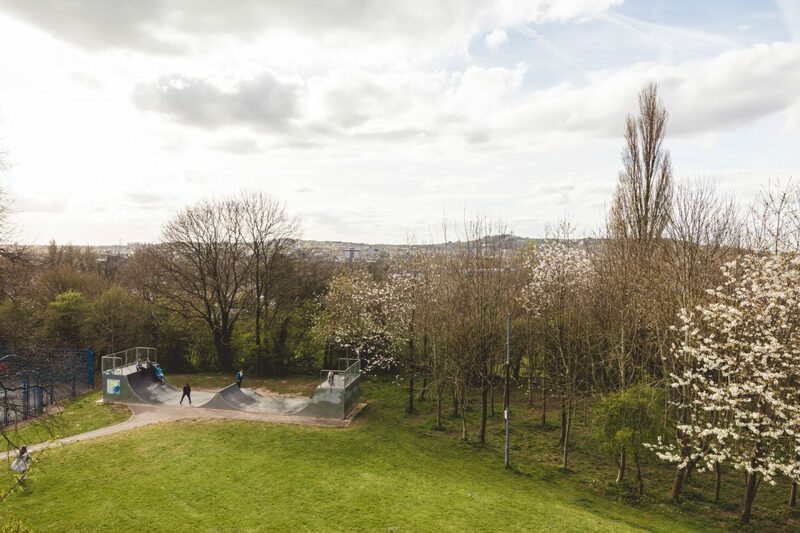 Today, thanks to sterling efforts by a Friends of the Park group and local activism, the park is greatly improved, with beautiful parkland offering gentle walks, a maze area, children's play areas, a multi-use games area, community pavilion and grass sports pitches. The photograph below was taken by A. Culwick, Oldbury Town Clerk in 1930. It shows the view looking north-west towards Langley Green and Langley from Barnford Hill Park, with the tennis courts in the foreground. The tall chimney left of centre was Albright and Wilson's chemical factory. Langley Maltings and Showell's Brewery can also be seen, right of centre. The houses to the left of the photograph are those in Farm Road, Langley Road, Henry Street, and Edward Street. The following poem was written by Barbara Powell, sharing her memories of the park, posted on the Facebook page of Langley and Warley Local History Groups. Who remembers Barnford as it used to be? In its former glory there for all to see. Of all the parks in Oldbury it surely was the best. Who remembers Barnford and it’s lovely flower beds? Rose beds full of fragrant blooms by the bowling green. Who remembers Barnford and its big green wooden shelter? A haven when the wind did blow and rain began to pelter. and the bell that clanged at closing time was housed upon the top. 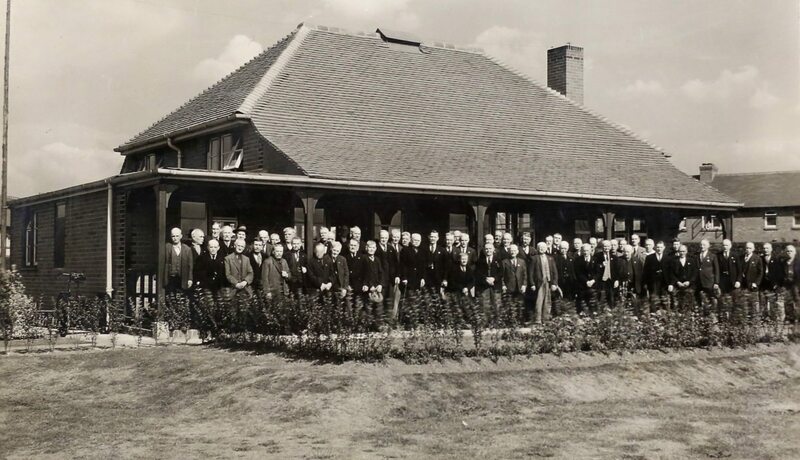 Who remembers Barnford and its garden for the blind? Full of perfumed flowers, some of every kind. Giving welcome pleasure to those who could not see. Who remembers Barnford and its rocky hill? The views from there were marvellous, you can see them still. Then run down past the sandpit for a drink from the fountain. Who remembers Barnford in the summertime? We’d lovely grass to play on and many a tree to climb. We’d play along the war-path or the monkey~run. Many hours we spent up there, didn't we have fun. Who remembers Barnford as a magic place to be? Sometimes we’d take a sandwich, a cake and a bottle of tea. We’d have a game of rounders, French cricket, tennis too. We were never bored in those days, there seemed so much to do. 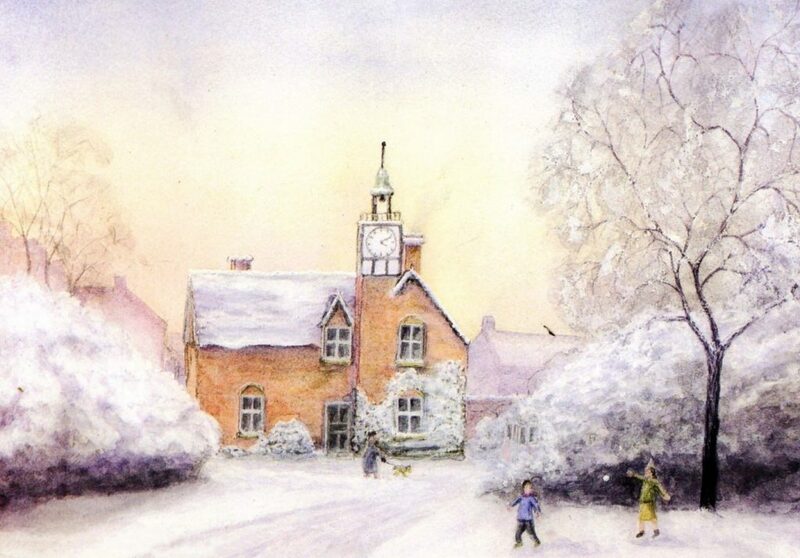 Who remembers Barnford in the winter snow? Sledging down its covered slopes, faces all aglow. Crying to Mom with chilblains, how the memory lingers. Who remembers Barnford at the time of war? To help to feed the nation, the likes of me and you. Who remembers Barnford at the time of its decline? When vandals came and wrecked it, this park of yours and mine. Cars parked on the tennis courts, Oh how sad the scene! For future generations we hope will all respect it. For I remember Barnford as it used to be.